Bringing a life into the world is serious business. Both a mother and her baby need to be in optimal condition to avoid the possibility of life-threatening complications. 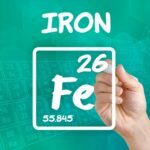 For all women, sufficient iron intake is necessary from puberty onwards to avoid the possibility of developing anemia. For the health of a baby in utero, it becomes even more crucial. Adequate intake is essential to keep blood levels of the mineral stable. Developing anemia during pregnancy can harm not only the mother but have negative consequences for her baby as well. Approximately 50 percent of pregnant women do not consume the recommended daily allowance of this crucial mineral. In fact, pregnant women actually need twice as much as they did prior to conceiving. Experts recommend that pregnant women consume about 30 milligrams of the mineral per day for optimal health. Because developing babies can only get their nutrients from what their mothers consume, it is critical that pregnant women consume enough for both their bodies, as well as for their developing fetuses. There are two versions of the mineral: heme, which is readily absorbable, and non-heme. 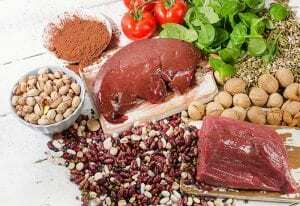 To consume adequate amounts of the mineral from food sources alone, it is best to focus on meat products since they contain the most easily absorbed version. 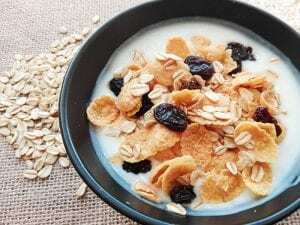 While these foods are readily available and easy to include on a daily basis, many women have an aversion to certain foods during their pregnancies. If adequate consumption from whole food sources is not possible, including low-dose supplementation of the mineral is recommended or making sure that your daily prenatal vitamin includes sufficient amounts. Because the pregnant woman’s body is responsible for building and maintaining the delicate circulatory system of the fetus, sufficient intake is necessary. This mineral is crucial in body’s manufacture of hemoglobin. This blood-bound substance is responsible for the transport of oxygen and nutrients throughout the bodies of both the mother and her baby. Increased blood oxygenation results in improved mental capacity, immunity and physical performance during pregnancy and delivery. Deficiency of this critical mineral may result in the development of anemia that may have severe repercussions for both mother and fetus. In fact, research has shown that anemic pregnant women have a greater mortality risk than those who maintain adequate vitamin and mineral intake. The mother’s body is responsible for providing blood, oxygen and nutrients to her fetus. Because this mineral is crucial in the production of oxygen-transporting hemoglobin, it is necessary to provide the fetus with adequate oxygen and blood supply. Additionally, a pregnant woman’s blood volume increases dramatically during gestation. On average, this increase is approximately 1,250 milliliters. This is about 50 percent more blood volume than the average non-pregnant woman. Due to this increase, intake of this critical mineral must rise to meet the increased demand for hemoglobin. Adequate intake during pregnancy ensures that your baby isn’t born suffering from a deficiency and decreases the chances of low birth weight.